Phase two of the Tigre de Cristal casino resort (pictured) in the Russian Far East is to feature a variety of non-gaming attractions, according to its promoter Summit Ascent Holdings Ltd, as quoted in a release issued last week by the Primorsky Krai Development Corp.
Primorsky Krai Development is a government-owned company overseeing the Primorye Integrated Entertainment Zone, a casino development area located 50 kilometres (31 miles) from Russia’s Pacific port of Vladivostok. Stylianos Tsifetakis, Summit Ascent’s acting chief operating officer for Russian operations, was quoted in the release as saying that the firm had “plans to create more entertainment facilities within the framework of the second phase” of Tigre de Cristal. Mr Tsifetakis was also quoted as saying that Summit Ascent planned to have the project for the second phase of Tigre de Cristal ready for presentation to the local authorities later this summer. According to previous announcements, phase two of the project would have an aggregate of 500 extra rooms in two hotels, duty free shopping, a food court and extra gaming space. 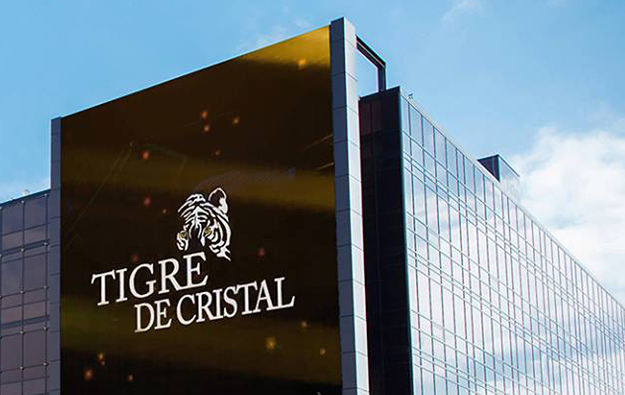 Phase one of Tigre de Cristal opened in autumn 2015. It features a casino, hotel accommodation, shops, a golf simulator and some restaurants and bars, according to its website. The resort is currently the only casino property in operation in the Primorye Integrated Entertainment Zone. In its release, Primorsky Krai Development quoted Mr Tsifetakis as stating Summit Ascent was “considering the possibility of creating a golf club and a ski resort” as part of phase two of Tigre de Cristal. “In addition, our new Taiwan shareholder plans to create one of the largest shopping centres in the Far East,” he reportedly added. The “new Taiwan shareholder” was understood to be a reference to Taiwan-listed shipping operator First Steamship Co Ltd. The latter announced last December that it was acquiring a shareholding of 12.67 percent in Summit Ascent. Quoted in the document, Igor Trofimov, interim general director of Primorsky Krai Development, said that an increase of non-gaming revenue at the Primorye Integrated Entertainment Zone would lead to higher tax revenue for the local government. The release noted that a profit tax of 20 percent was levied on non-gaming revenue at the zone.